HPI has a lot to show at Nuremburg including a new touring car platform and some exciting licensed vehicles. Check out the pictures below and get more details in our Hot News & New Stuff forum. 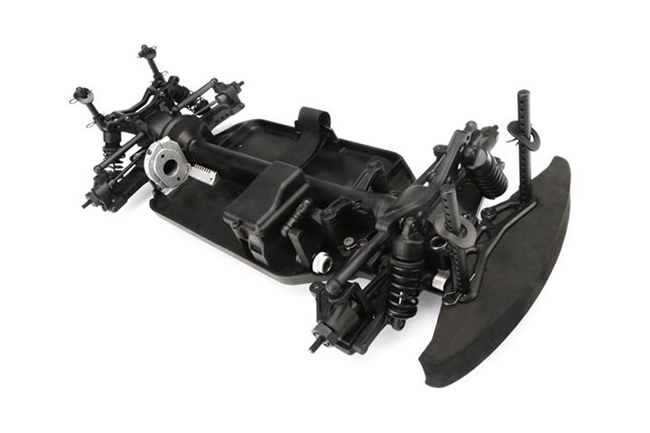 HPI Racing introduces the RS4 Sport 3 1/10th scale Electric 4WD Touring Car chassis. The RS4 Sport 3 features a fully enclosed shaft drive system, metal geared 4WD drivetrain, sealed tunable metal geared differentials, optimized double wishbone suspension, threaded adjustable oil filled coil over shocks and sealed ball bearings throughout. Stay tuned for more chassis details and specific kit information coming soon! More info and images here. Introducing the HPI Racing x Fatlace Subaru BRZ RS4 Sport 3 Drift. 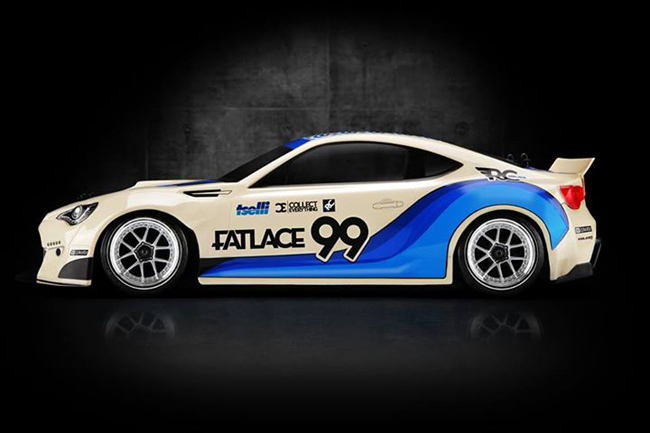 It features the HPI Racing Subaru BRZ with Replica HPI Dai Champion wheels and Replica Falken 615k T-Drift Tires. 1/10th scale HPI Racing x Fatlace collaboration project. The Gymkhana GRiD Ford Fiesta ST RX43 will be available soon as a nitro-powered WR8 3.0, electric WR8 Flux and 1/18th scale Micro RS4! HPI Racing x fifteen52 BMW E30 M3 RS4 3 Sport. The HPI replica iconic BMW E30 M3 + fifteen52 Turbomacs + BRAND NEW HPI RS4 Sport 3 1/10th scale 4WD chassis makes for this Ready to Run package. 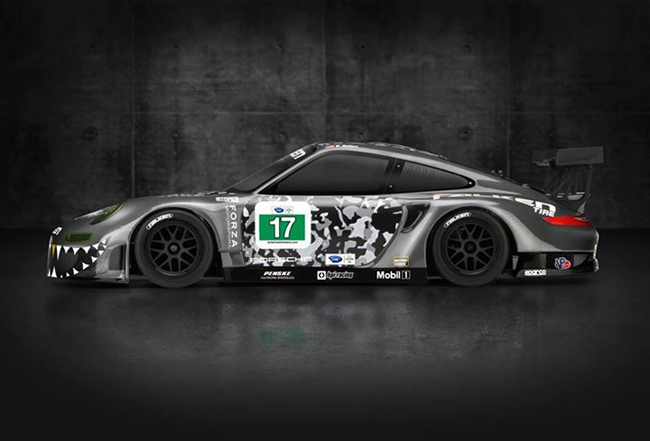 The first RS4 Sport 3 Flux features the #17 Porsche 911 GT3 RSR driven by Bryan Sellers, Wolf Henzler and Nick Tandy for the Falken Tire racing team, one of the top race teams in the GT Class of the legendary American Le Mans Series. The iconic shape of the Porsche 911 combined with the jaw-dropping ‘urban camo’ look and stylized shark-mouth make for the perfect head-turning look for the fastest version of the all-new RS4 Sport 3. Finishing the race car look are a set of our extra-wide (31mm and 35mm) replica BBS wheels fitted with matching replica slick Falken Azenis racing tires! Propelling the RS4 Sport 3 to speeds over 124km/h (70mph) is the Flux MMH-4000KV motor, controlled by the waterproof Flux EMH-3S LiPo-ready speed controller. An enclosed box houses the 2.4GHz radio receiver, ensuring that you have constant control through the HPI pistol-grip steering wheel transmitter. Over 124km/h (70mph) top speed!